In This Independence Week, Shopclues Is Coming With One India Sale In Which Users Will Get Minimum 40% Discount On Mobiles,Fashion,Home Appliances &Other Electronics. Shopclues One India Sale Is Running For 8 Days Between 6th To 13th August 2017. 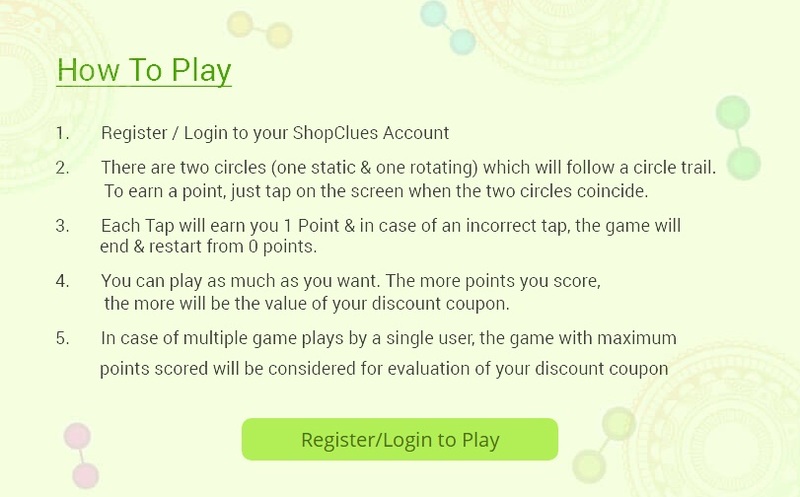 Check Below Details To Know More About Shopclues one India Sale. What Is Shopclues One India Sale? Shopclues Independence Day Sale Is Celebration Which Dedicated To India's Freedom In Which They are Going To Set Mega Online Shopping Fair . They Will Give Huge Discounts And Upto 80% Off On Electronics,Fashion &Home Kitchen. Shopclues One India Sale Tagline Is Daam Itne Kam Ki India Me Bhed Bhav Khatam.